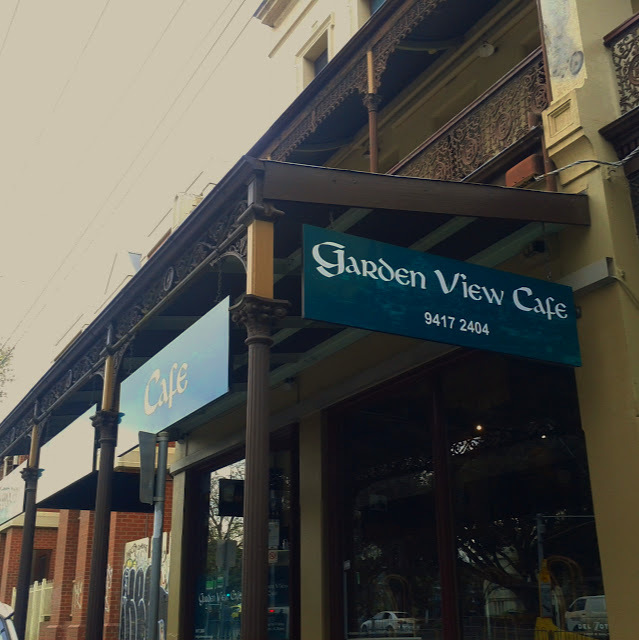 Although I'd seen the Garden View Cafe plenty of times, I'd never been able to find out much about it on line, and hadn't investigated further. 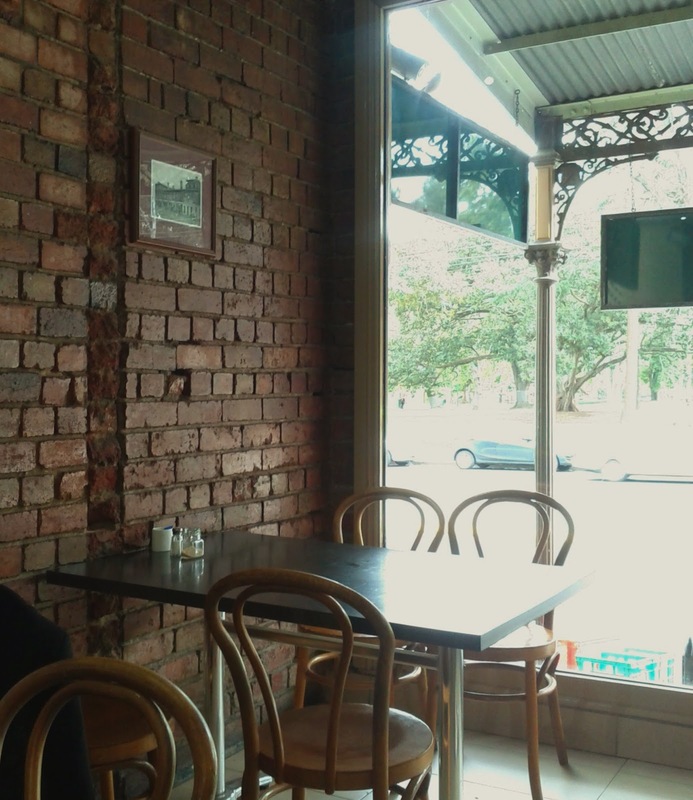 Eventually I visited with Brendan, rather than pressing on up to Gertrude St. As you go inside you enter the counter area, with the tables through a small opening, the space was bigger than I expected, with basic tables and chairs and bare brick walls. 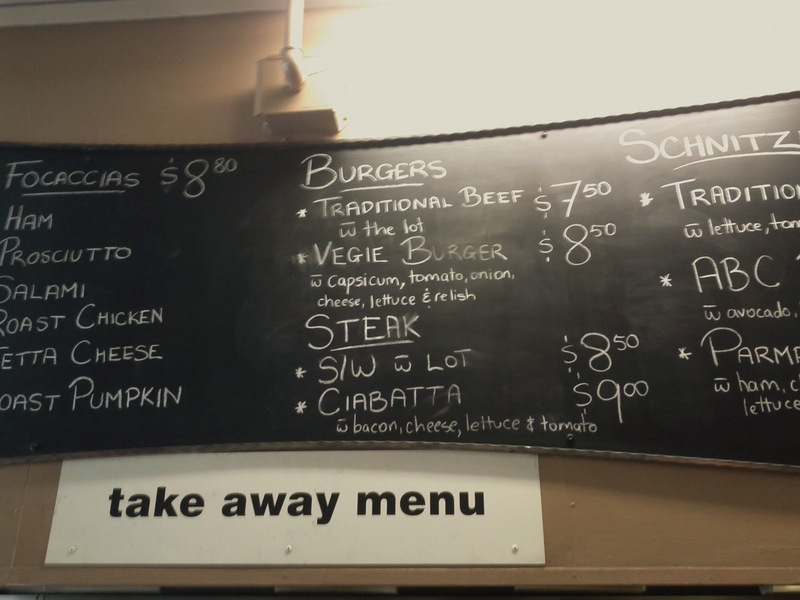 The menu isn't that extensive but covers some the basic cafe bases. Brendan had the burger with the lot, which was generously sized and lived up to its description. 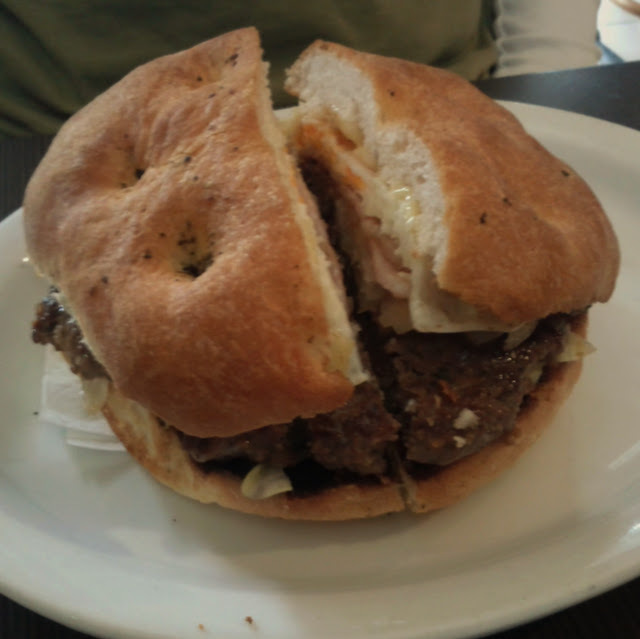 I went for the veggie burger minus cheese, and was slightly surprised that there wasn't a patty of some sort. 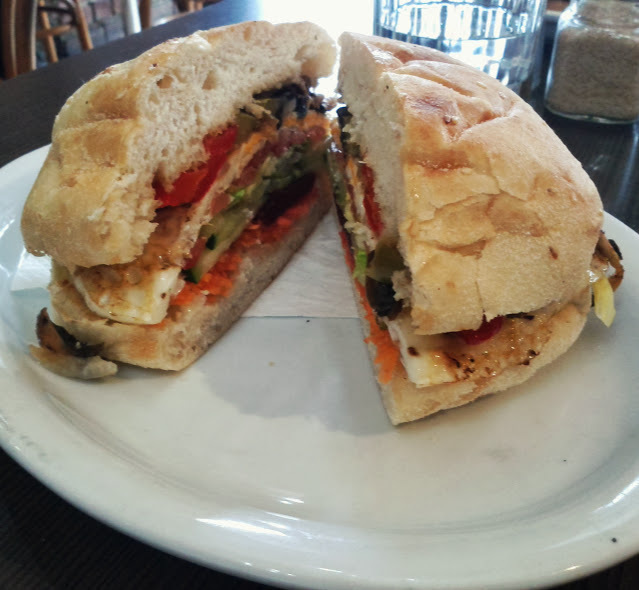 The content of egg, pepper, onions, tomato, beetroot and salad was certainly plentiful, but it didn't rival the Jerry's Vegiburgers experience. Thanks for the review. I work at St. Vinny's sometimes and I had been curious about it. It looks like a decent option for a quick lunch if I'm on the psych ward, whose entrance is just up Nicholson.